For over 3 decades, San Antonio Oral Surgery & Dental Implants has provided elite oral surgery treatment to residents of the greater San Antonio region. 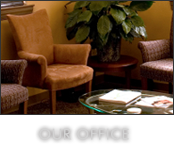 Our conveniently located office in San Antonio allows patients from all over the region to easily access our office. The rare combination of our experience in oral surgery with high tech, cutting edge technology enables us to provide the highest quality of Oral and Maxillofacial Surgical and Dental Implant services available. As an oral surgery specialist, Dr. Jeffrey Wert has extensive experience with dental implants, grafting (bone and soft tissue), removal of wisdom teeth and non-restorative teeth, corrective jaw surgery, as well as several options for sedation. We also can diagnosis and treat TMJ (jaw joint disorders), oral pathology, and trauma to the face and jaws. When it comes to selecting the right oral surgeon in San Antonio, experience is extremely important. 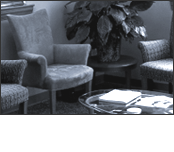 San Antonio Oral Surgery & Dental Implants has performed oral surgery for families in San Antonio since 1974. 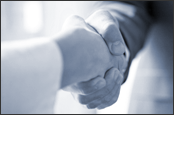 If you trust us with your oral surgery needs, rest assured that you’re in experienced hands. Our entire team is dedicated to being an exceptional Oral and Maxillofacial Surgery & Dental Implant practice in the greater San Antonio Area. Caring - about our patients and their families from the moment they make first contact with our office and throughout their entire experience. "There are exceptional practices and just average practices - and you all are definitely an exceptional practice." 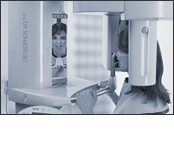 - Martha T.
Digital Imaging – We use digital X-rays for several reasons. First, there are no harsh chemicals associated with digital X-rays because there is no film to process. Second, radiation exposure to the patient is reduced. And finally, digital images can be easy to share with the patient, a referral source, or another specialist. 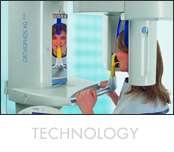 Cone Beam CT – A cone beam CT is a special type of digital x-ray that uses 3-D imaging. A cone beam CT scan allows the surgeon to see hidden structures in your mouth and jaw in 3-D, which aids in dental implant cases, bone pathology cases, and planning virtual surgery. Computer-Guided Surgery – We use digital data from cone beam CT scans to perform “virtual surgery” to determine the ideal placement for dental implants. This data then can be used to fabricate surgical guides and ensure that you’ll get an extremely accurate implant placement, spend less time in surgery, and enjoy a less-invasive surgical procedure. Sedation Options - At San Antonio Oral Surgery, we understand that going to the dentist or oral surgeon isn’t easy for everyone. For those who suffer from anxiety and/or a dental phobia, we offer several options for sedation dentistry to ensure you have a comfortable visit. San Antonio Oral Surgery & Dental Implants offers oral and maxillofacial surgery to residents of San Antonio and surrounding communities. Contact our office at (210) 656-3301 to setup consultations for dental implants, bone grafts, wisdom teeth extractions, and more!